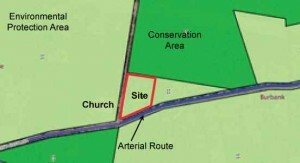 Within the jurisdiction of Brisbane Queensland City Council, this proposal involved a subject site in an Environmental Protection Area. The owner proposed a secondary dwelling on the site to accommodate family, and the provisions of the Brisbane City Plan triggered the need for lodging a Development Application as the total land area was less than 4 hectares. Planning and building Brisbane – Get Advise Now!